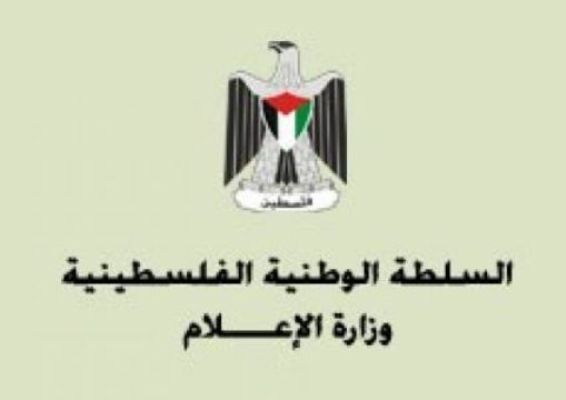 The Palestinian Ministry of Information considers -the U.S. Congress Appropriations Committee's bill to ban assisting the Palestinian State until the latter stops the so-called incitement against Israel -as a political fallacy, and a distortion of the facts as well as full support of the occupation to continue its crimes against our people. The Ministry stresses in a press release Tuesday that the axiomatic logic puts the U.S lawmakers and politicians before their duties to end the last and longest occupation in modern history, which commits all forms of killing and illegal settlement, violates the International law and ignores all the resolutions of the UN Security Council and General Assembly relevant to Palestine, since 1947 until now. Some Congress members' biasness to the State of occupation prevented the hearing of the American official reports on the Israeli refusal to activate the Joint Committee to prevent incitement that the US recently tried to activate, and their maneuvers to prevent recognizing the rights of our people for having freedom and independence. Its worth mentioning that the ministry would like to remind the US political parties, and defenders of the occupation that the Palestinian people shall have the right to recall the dreams of Martin Luther King for freedom and salvation, to stop supporting discrimination and biasness to the occupation and refrain from ignoring our just rights. The ministry re-stresses that the U.S Appropriations Committee and Congress members should read and see the many Israeli violations against our people in the US media, and that they should work to stop the daily Israeli right-wing settlers' crimes against our people and their properties, and worship places, as well. Minister of Higher Education Dr. Osama Mozainy received on Monday Norwegian Ambassador to Palestine Hansen Jacob in his ministry headquarters in Gaza. The meeting was attended by Dr. Mahmoud Al-Jabari, Assistant Undersecretary for Higher Education, Dr. Ziad Thabet, Assistant Undersecretary for Educational Affairs, and Mutassim Minawi, director of public relations at the Ministry of Education. The Minister expressed appreciations for the Norwegian Ambassador's visit to Gaza and hailed the Norwegian efforts in support of Palestinian cause. For his part, the Norwegian Ambassador expressed his hope to develop cooperative projects with the education ministry. The two parties discussed challenges to the educational process in Gaza Strip and the recent agreement reached between the ministry and UNRWA concerning human rights curricula. Dr. Osama Mozainy briefed the Ambassador on the educational system in Gaza and the future educational projects. A large number of mourners have participated in the funeral of the mufti of Gaza City who died late Monday at 79. 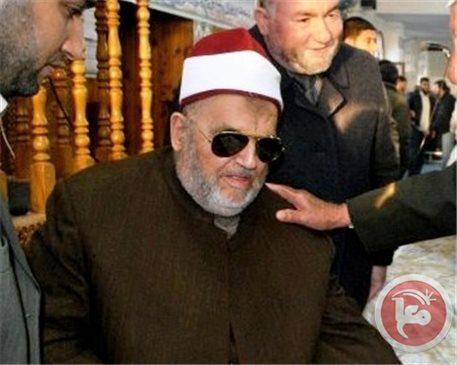 Medical sources said that Sheikh Abd al-Karim al-Kahlout passed away at Shifa Hospital, after being admitted for three days to the Intensive Care Unit. 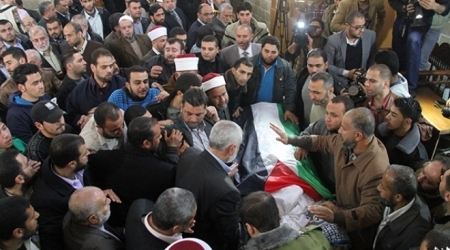 Ismail Haniyeh, the prime minister in Gaza, performed the funeral prayer along with many dignitaries at the al-Umari Mosque in central Gaza City. Kahlout received his Sharia education from Al Azhar University of Egypt in 1960. 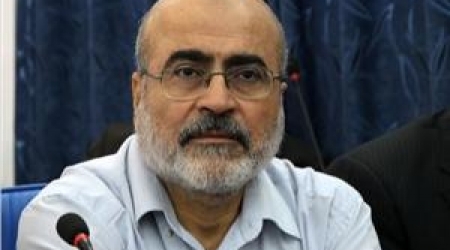 He worked as a lecturer at Gaza’s Al-Azhar Institute for Religious Science for 23 years, and then at Islamic University of Gaza for 18 years and Al Azhar University for four years. 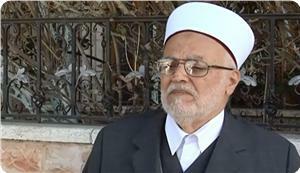 The mufti of Gaza City died late Monday, medics said. 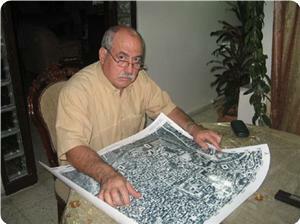 Gaza medical sources said that 80-year-old Abd al-Karim al-Kahlout passed away at Shifa Hospital in Gaza City. Al-Kahlout was one of Gaza's most renowned and respected Muslim clerics. His funeral will take place on Tuesday. The current visit to Israel by German Chancellor Angela Merkel is another expression of Germany's endlessly shameful policy of currying favor with Zionist Israel. Germany is always willing and ready to go to any extent, travel any distance and stoop to the basest level of immorality in order to appease the whimsical wishes of Zionist psychopaths in Israel, such as Prime Minister Binyamin Netanyahu. Sometimes, Germany goes too far in cheapening itself before Zionist Jews to the extent of brazenly embracing Israel's most rabidly criminal policies against the helpless Palestinians, the indirect but ultimate victims of German Nazism. 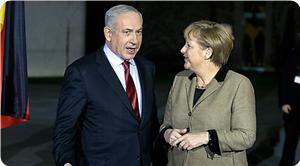 Merkel brought to occupied Jerusalem 17 German ministers in order to convene a joint session with the Israeli cabinet. For those who don't know, the Israeli cabinet includes some of the most racist of all racists under the sun since Adam and Eve. How else and what else can one say of Chabadi Nazis who don't even ascribe humanity to non-Jews? I don't know if Merkel knows this, but even if she did, she most probably wouldn't have the moral courage to challenge this form of Jewish Nazism. Merkel and most other post-war German politicians believe that no-matter how Israel behaves and what it does, Germany must not object or criticize. This means that even if Israel carried out a slow-motion holocaust against her Palestinian victims, which is what Israel has been doing, Germany would have to play deaf and dumb and look the other way. In short, morality and moral considerations stop functioning when dealing with Israel and the Palestinians. True, Germany may occasionally donate a school or help pave a road in some localities in the West Bank. But this is too petty and too insignificant when compared to the absolute, unlimited and unrestricted dark embrace by Germany of Jewish Nazism. Germans know this too well. Nothing, absolutely nothing would shut the barking mouths of rabid Zionist Jews except a full and unconditional embrace by Germany of pro-active Jewish Nazism. This is the reason that German criticisms of Israel's Lebensraum policy in the West Bank are usually soft and minimal. No one, not even the Palestinians, would want to see Germany be anti-Jewish or anti-Semitic. However, German leaders ought to understand that it is absolutely malicious and wrong to atone for one holocaust by enabling Israel to commit another holocaust against the peoples of the Middle East. Yes, there are no gas chambers in the West Bank. But Auschwitz and Bergen Belsen are being replicated in different ways. Palestinian homes are being destroyed for no real reason other than the fact that the Palestinians don't belong to the "holy tribe." Palestinian land since time immemorial is being seized and given to Jewish immigrants from overseas. This is often done with German aid and silent blessing, which is an indelible moral cancer upon the conscience of the German nation. Israel is also decapitating any remaining prospects for the establishment of a truly viable and territorially contiguous Palestinian state, the ultimate goal of the so-called peace process. The truth of the matter, however, is that Germany, along with the United States, is effectively enabling Israel to insolently reject and say a big "No" to all peace efforts, including those pursued by U.S. Secretary of State John Kerry. This is because Israel doesn't want to reach a real, lasting and dignified peace with the Palestinians for a simple reason: Israel simply is unwilling to pay the price for a just peace or a semblance of just peace … just as a thief is unwilling to return the stolen goods to their legitimate owner. Indeed, a country that builds hundreds of illegal colonies on its neighbor's territory and transfers hundreds of thousands of its citizens to live on a land that belongs to another people obviously doesn't have real peace on its agenda. Why is it that German leaders can't or don't understand these simple and clear facts? Well, the reason for this willful blindness is not the lack of brain-power. The real reason has more to do with the lack or absence of moral commitment on the part of German politicians and leaders. Otherwise, Germany knows that Lebensraum is wrong whether pursued by German Nazis or Zionist Jews, that ethnic cleansing is wrong regardless of the identity of the doers and victims. In fact, Germany is enabling Israel to behave in Nazi or Nazi-like manner. The supply by Germany to Israel of the state-of-the-art submarines will enable Israel to be perpetually pugnacious and bellicose toward its neighbors just like Nazi Germany was in the late 1930s. It is really a moral tragedy of monumental proportions that Germany and the West have inserted a venomous snake into the child's bed, as the honorable American Jewish writer Noam Chomsky wisely said. "When a man brings a snake and puts it in the bed of a child and it stings the child, the man is responsible for the child’s death, not the snake as this person cannot claim innocence and say "I didn't know that the snake is so poisonous." "While the direct responsibility for the calamity that overtook the Palestinian Arabs in 1948 was on the heads of the Zionist Jews who seized a lebensraum for themselves in Palestine by force of arms in that year, a heavy load of indirect, yet irrefutable responsibility was on the heads of the people of the United Kingdom." Now, Germany, along with the United States and other western nations, is helping complete and perfect Britain's original crime. Deputy Palestinian Prime Minister in Gaza said the government is awaiting for a response from President, Mahmoud Abbas, about forming a national unity government and agreeing on the security forces affairs, resistance weapons and Gaza’s employees in order to achieve the reconciliation and end the division. Zaza hopes that Abbas’s response would be positive and not within a political maneuvering to cover up the disastrous plan of Kerry. He called Abbas to aligned to the Palestinian people away from any other accounts to strengthen the internal ranks and face the challenges that face the Palestinian issue. Zaza asked the Palestinian President to immediately stop the ongoing US-sponsored negotiations with the Israeli side and stop hosting Israeli delegations in Ramallah or any place inside the Palestinian territories. last Sunday, Palestinian President, Mahmoud Abbas, hosted in Ramallah a delegation of student union representatives from various Israeli universities and representatives of Israeli parties and political factions included 270 individuals. “Framework Plan”, Kerry tries to elaborate, is more dangerous than Oslo Accord and the 1948 disaster because it will determine the path of Palestinian land for the benefit of (Israel), Zaza added. He stressed that Kerry’s Plan gives the Palestinians unarmed state and incomplete sovereignty over land, air and sea. The plan does not meet the aspirations of the Palestinian people; it wastes the refugees rights and confiscates the lands of northern Jordan Valley. Zaza called for the necessity of the national harmony between the Palestinian authority and Palestinian people interests in order to regain its stolen rights and end the mockery negotiations with the colonial occupation which is pointless and harmful to the Palestinian issue. Having recently returned from spending a year in Gaza working with the UN, one would think I’d have an easy answer. So much has changed for the worse since my last stint in 2011 that it’s hard not to simply reply that the coastal enclave is teetering on the brink of disaster. There is barely a positive indicator to report, and as the international community has all but moved on and forgotten Gaza in the midst of the crisis in Syria and during Secretary of State John Kerry’s negotiation efforts, people are wondering why they should hold on to the last bits of hope they have left. Yet, there is a resilience to Palestinians that cannot be underestimated—especially in Gaza. In them lies the potential for a change in course, but it will take courage, trust, cooperation, and ultimately an end to the blockade to fundamentally transform everything. Gaza is a daily struggle and a constant feeling of being on the edge of conflict. Despite being relatively quiet since the last significant escalation in violence in November 2012 in which 165 Palestinians were killed, including 13 women and 33 children, there is a tension in the air that leaves you feeling that just a small spark could spin things quickly out of control. Frustration is at its peak and the population is completely isolated. Extremism is on the rise, becoming an outlet as hope dies—even Valentine’s Day was under attack this year. The closure of the Rafah border crossing and the destruction of the tunnels under the border with Egypt have taken the blockade to a new level, sealing the Strip and cutting the final lifelines. The only imports to Gaza come through the Kerem Shalom crossing with Israel and are extremely limited, while exports are essentially nonexistent. With two major escalations in three years and crumbling infrastructure, not only has the blockade decimated Gaza’s economy, but it has also made it ever more challenging to rebuild and recover. Unemployment climbed to 38.5 per cent in the last quarter of 2013 (56.8 per cent among youth) and is expected to rise further. Jobs provided by the tunnels have disappeared and sectors like the construction industry—which saw 20,000 jobs added last year—have nothing left to work with. Fuel and food prices have skyrocketed, and the mostly aid dependent population has been left struggling like never before. Attention has turned elsewhere, and international funding through the UN and other major humanitarian agencies operating on the ground has been diverted from Gaza. UNRWA, the largest agency working on the ground serving over 70 per cent of the total population, struggled to maintain basic services amidst a $36 million budget shortfall in 2013. Coping mechanisms have been exhausted, and the status quo is simply impossible to maintain, even if aid poured in. In spite of all this, the people of Gaza are incredibly capable. Well educated and with a literacy rate of 95.3 per cent (nearly 20 percentage points higher than the regional average), the population is doing better in this realm than many of its Arab neighbors, falling only slightly behind Israel’s 97.1 per cent. Time and time again, I’ve been told by people that they don’t want aid. They want opportunity—a chance to work and build a better life. Even children are acutely aware of this, eagerly telling me they want to be doctors and lawyers and engineers so that they can make things better. The blockade is holding them back. With few options and no elections in sight, the blockade amounts to collective punishment at best and a humanitarian catastrophe at worst. The international community cannot sit idly by as the situation deteriorates. It is a greater threat to peace, stability, and security than anything else, and has emboldened extremist elements, giving them further ammunition as people lose hope and see no other options. Desperate people have little left to lose. Gaza must be moved back into the conversation and into negotiations in a way that might actually move things forward within the political context and realm of possibility. The blockade may not be lifted tomorrow, but there are ways to work toward this and ultimately make any solution more viable. Taking small, positive steps to alleviate suffering and empower people so they are no longer aid dependent should be the short term goal, while ensuring a complete lifting of the blockade is the end result. At one time, there was trade between Gaza and Israel. Local vendors worked with Israeli partners to export internationally, benefiting civilians on both sides of the border. A simple loosening of the blockade, allowing exports as well as imports would be a start; helping the economy, and building confidence so that an eventual end might be possible. The sectors that could be quickly revitalized or that are already moderately functioning can be identified and focused on. 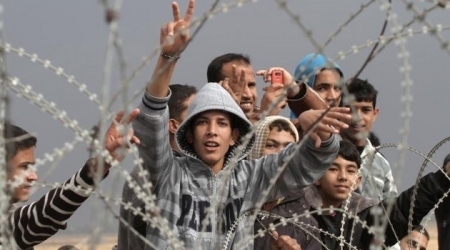 Allowing for more freedom of movement would also mean huge gains for the civilian population of Gaza. It would enable people to gain education and skills that right now are limited to the 365 km2 they are trapped within. It would broaden opportunities for so many youth who have never left Gaza, never seeing beyond the concrete walls surrounding them. It could help the growing entrepreneurial sector, giving businesses the freedom to expand and the chance to contribute not only to Palestine’s economy, but also to the wider world with their innovative ideas. When people feel economically secure and are able to take care of their families, send their children to school, and simply live life without the burden of poverty, it increases security and stability for all. It is the only way this region will ever see peace. Extremism and violence gain power when people feel desperate and hopeless. We have to turn that on its head and give Gaza reason to hope again—to give us all reason to hope again. Palestinian Prime Minister Ismail Haniyeh agreed with Fatah official Azzam al-Ahmad to open an inquiry into the attack against former minister Wasfi Qabha. Media advisor to the prime minister, Taher el-Nono, said Saturday on his Facebook page that he called al-Ahmad a telephone on this issue. 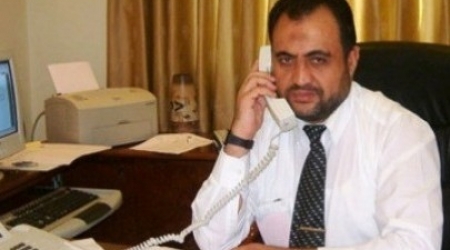 Masked men on Wednesday stopped the car of the Hamas lawmaker at the southern entrance to Jenin City, north of the occupied West Bank, smashed his car, and beat him with clubs. Wasfi Qabha’s wife explained to local media that he was on the way from Nablus to Jenin, and that the assailants left her husband with fractures to a leg bone, and bruises through his body. Qabha repeatedly pronounced his opposition to the Palestinian Authority's political arrests against political activists with Islamic affilation in the West Bank. His wife said in an earlier report that he suffered previous car arson attacks and verbal insults. First Speaker for Palestinian Legislative Council Aziz Dweik previously called on the Ramallah authorities to go after any suspect perpetrators. Sheikh Ikrima Sabri, head of the higher Islamic council and preacher of the Aqsa Mosque, met on Saturday with a delegation from the center of historical and cultural studies in Poland. The delegation included noted Polish academic figures led by professor Adrian Volski. Sheikh Sabri highlighted during the meeting the good historical relations that have bound the Christians and Muslims, especially since the time of Caliphate Omar Ibn Al-Khattab. Sheikh Sabri explained that the religion of Islam has called for respecting other religions and believing in all previous prophets, and protected the freedom of worship. He called during the meeting for issuing an international law by the UN prohibiting and criminalizing any act of defamation or insult against religious faiths, even at the pretext of freedom of expression and opinion. The preacher of the Aqsa Mosque briefed the delegation on the difficult situation for the Palestinians in occupied Jerusalem as a result of Israel's settlement and Judaization activities. Palestinian citizens on Saturday rallied outside the office of the UN high commissioner for human rights in the Gaza Strip in solidarity with the Muslims of the Central African Republic (CAR), who are exposed to genocidal and ethnic cleansing crimes at the hands of Christian citizens and militias. The participants in the sit-in protested the international silence on the mass killing of Central African Muslims and called for action to save them. "The massacres having been committed against the Muslims there for more than two weeks are aimed mainly at eradicating the Muslim presence everywhere and waging an ethnic cleansing campaign against them," senior official of the Movement Abu Qasem Daghmash stated in press remarks during the event. For the first time Palestinian team participated in skydiving workouts in Morocco Willing to participate in skydiving Championship in the Arab world. Skydiving was forbidden for Palestinians by Israeli occupation, which was and still prevents Palestinians from skydiving because of security concerns as Israel say but with the entry of the Palestinian Authorityto to the Palestinian territories in the ninetys has been opened the door to train number of the security forces members some of them girls how to skydive. Rajah Talol head of the delegation in Morocco, told Palestine News Network its the first time that Palestine will participate in this type of sport which is important to emphasize that Palestine does not exist in the Arab world, but also in the whole world, adding that he hopes the participation of a Palestinian in international competitions. Talol said that Israel was preventing Palestinians from doing a lot of things in sport but today we are here to say that we exist andthat the secret taraning we receive is now public because we are here talking about sport which is a language of humanitarian communication and we must not be afraid of what we are doing. Talol said that the team is composed of six members received training in the last period of the Russian Federation, South Africa and now we are in Morocco , H also explained that the number of members of his team are from the security persons who have been trained in Russia. Championship, which takes place in Morocco will be held with the participation of fifteen Arab countries and will start on 27 of February, and Palestinians hope to win one of that awards, although it was the first time that they are engaged in such a game. Talol assure that he will work on developing this game in Palestine and he also expres his hopes that Palestine enjoys freedom and embrace Airports and part of it will be for skydiving sport. At the end of his speech to PNN Talol thanked the Kingdom of Morocco for hosting the Palestinian delegation, noting that Morocco has provided great potential for Palestine success participation in this competition and deserve all the appreciation. A Palestinian citizen of Israel was shot dead by unknown assailants at a construction site in central Israel early Saturday, medics said. Paramedic Yousef Ismail told Ma'an that the body of a 34-year-old Palestinian-Israeli security guard was found at a construction site in Rehovot. "We found a young man shot in his upper extremities and after we examined him we had to announce him dead," Ismail said. Police and a forensic unit arrived at the scene to begin gathering evidence for an investigation, he added. A 34-year-old man was shot early Saturday morning at a construction site in the central city of Rehovot, where he worked as a guard. 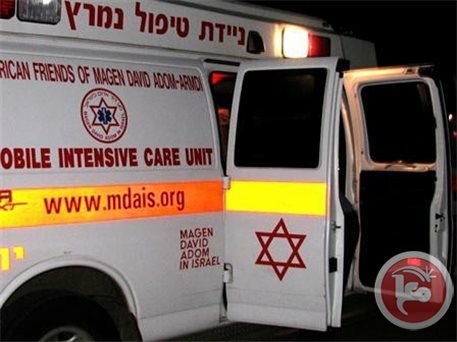 A Magen David Adom ambulance crew arrived on the scene, but the man had already succumbed to his wounds. Police had arrived to the location. It appears the man was shot several times in his stomach, from close range. An agreement Thursday reached to form a Palestinian-Israeli team to address common environmental issues between the two sides, said Israel Radio. According to the radio, a meeting was held between the Israeli Minister of Environmental Protection, Amir Peretz and Deputy Head of Environmental Department Jamal Mtour agreed to form a team to meet every month to discuss solutions to the biggest ecological problems facing the region today. Topics discussed included preventing pollution, alternative solutions to waste management, and facing potential health hazards if industrialization increases in the area. The Palestinian Supreme Fatwa Council condemned the horrific massacres committed against the Muslims in the Central African Republic (CAR). The Council in a statement on Wednesday urged the leaders of the Arab and Islamic nation, the Arab League, the Organization of Islamic Cooperation and the world free people to take action to stop these racist massacres. Wasfi Qabha, former Minister of Prisoners' Affairs, has suffered broken shoulder and bruises all over his body after being physically assaulted on Wednesday while in his car at the southern entrance to Jenin City. Medical sources confirmed that the Qabha has suffered fractured hand and slight injuries all over his body, adding that he is in stable health condition. 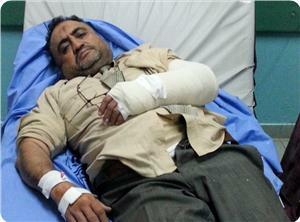 Unknown persons stopped Qabha’s car and harshly beat him while in his way from Nablus to Jenin. 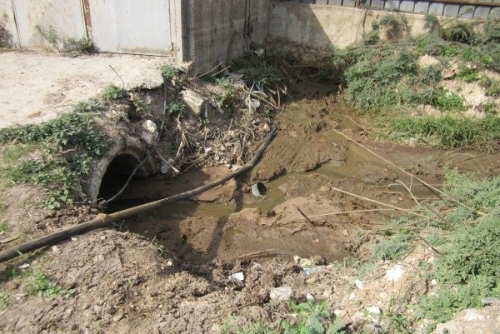 Qubaha has been subjected to similar attacks and threats as a response to his political positions, where his car has been buried and smashed more than once. The attack came few hours after Qabha's statements in which he considered Abbas' recent remarks on the right of return as "clear recognition of the Jewishness of the Israeli state" and approval to US secretary of state John Kerry's proposals. For its part, the Hamas Movement strongly condemned the attack on its senior leader, considering it a national crime that only serves the occupation. In a statement issued following the attack, Hamas stated that the party that stands behind the attack is the same party that tries to undermine national reconciliation efforts. 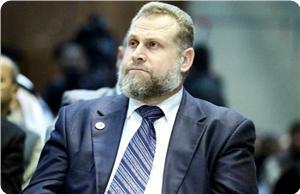 Hamas called on PA and Fatah movement to prosecute the perpetrators to maintain the national unity. It also called on all Palestinian factions to pool their efforts in the face of provocative attempts to create sedition and target resistance leaders.